The cleverest thing about becoming an online poker affiliate is the way in which your earnings can spread and increase over time. Unlike in most industries where you may get a one of payment or percentage of a single transaction, in the online poker industry the affiliate can receive a percentage of a player's lifetime money. Estimates suggest that the average poker player lasts around 6 months on a site, but depending on the people you can attract the amount of money generated in whatever lifetime they have on a site can be hugely different. Of course for any poker affiliate the greatest result is a player who remains on the site for a long period of time, playing constantly with as much money as possible. But the reality is these kinds of players are fairly rare, but that is not to say that there is no profit to be made, far from it. In an affiliate program it does not take much to earn large sums of money and this is particularly prevalent in online poker. Attracting one player a day may not sound like much, but it is actually quite a high figure for any affiliate site. If even the smallest affiliate could get this kind of business they would soon realise just how much they can make. Of course when you start any business from scratch things usually start slowly, even for the likes of Bill Gates and Donald Trump. Every business must start somewhere and this is no different in the affiliate marketing game. Profits may begin very low, but attracting 1 person a day things will soon pick up. Just 50 poker members in any site can generate a substantial amount of money, so imagine what 100, 200 or even more can create. With poker sites creating money each and every time a player plays a hand and not just when they lose, it is easy to see why and how many can build. Each player may only generate a small amount each day, but it is through large numbers of people creating just a few dollars here and there that an affiliate can earn huge sums. It doesn't take a Nobel Laureate Mathematician to work out that 100 people generating just 3 dollars each a day for a single affiliate will add up to sum of $300. Making $2100 a week and $8400 a month. This is not a fanciful figure many professional affiliates on the Internet earn between $30,000 and $50,000 each month. Whilst the resources may not be available for everyone to achieve this, it is still possible, which should supply any new affiliate with a goal and a sense of purpose. Most affiliates will only be able to dream of getting anywhere near $100,000 a year from their marketing business. 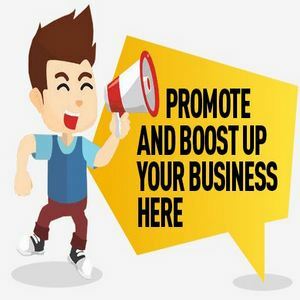 However by attracting enough people to their site, it is quite conceivable that even the lowliest of affiliates can earn a solid amount of cash. Earning anywhere in the region of 20 - 35% from each customer bought in, means that an affiliate does not need to bring in hundreds each month to earn money. Even just a few here and there can provide a regular, income that can provide a nice little side earner for any Internet user.